The Trinity church dominates with her elegant appearance decisively the cityscape of Arendal and accommodates our first organ in Scandinavia. 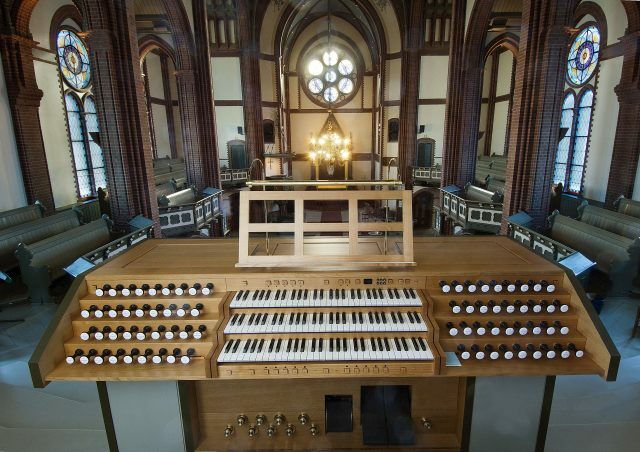 The middle case and some fundamental stops come from the predecessor’s instrument which decreased a two manual cone chest organ built in 1888 by August Nielsen. 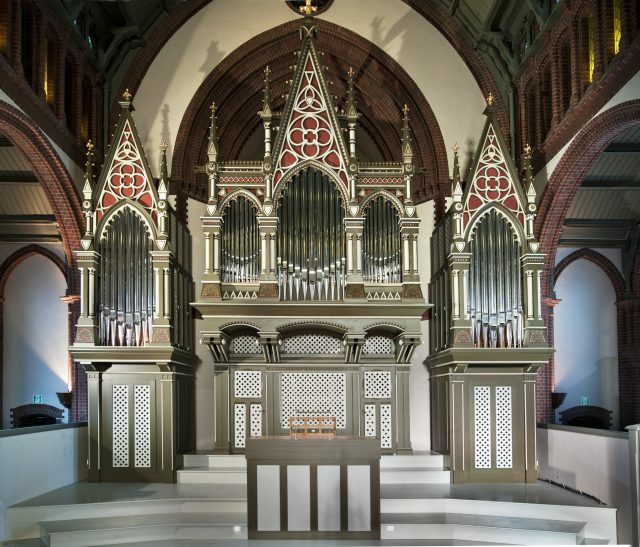 The neo-Gothic case was supplemented by stylistically conformist, deliberately set off pedal towers. 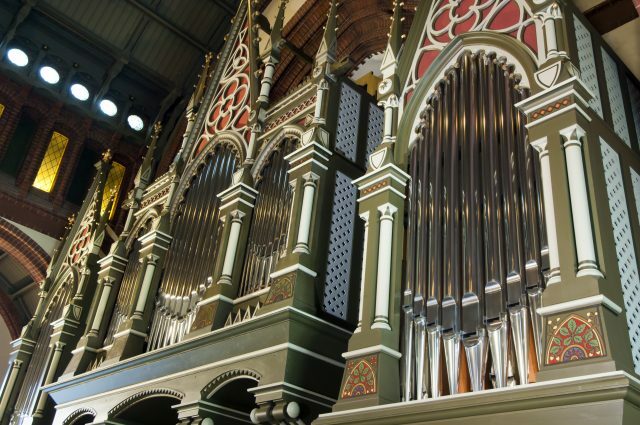 The complex tonal sound of the new organ is dynamically rich and characterizes the distinguished tonality of the world of the 19th century. In particular it takes as a starting point the German romanticism and picks up, nevertheless, also music of other epochs and regions. 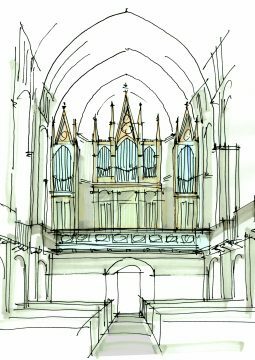 The grave main work in the old case is flanked by the lateral pedal towers which can already perceive important bass-, trio- and solo parts. They are impressively and voluminously supported by the great pedal standing in the tower space. Behind the Great the big Swell is located which lends two other stops in transmissions to the pedal. On top, the tonally favourably positioned Swellpositive, also on three sides with shutters stands on fall provided. From the generous detached console all chests can be played in mechanical stop and keyaction, with the exception of the great pedal. The festive inauguration occurred on the first Advent Sunday in 2010. Prof. Jon Laukvik who accompanied the project also as an expert, played the first concert with works of Bach, Widor, Olson and own compositions.